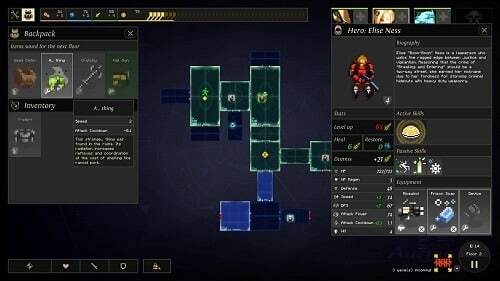 Fusing the genres of strategy, RPG, rogue like and even tower defence is Dungeon of the Endless a game where you’ll lead a group of heroes after they crash land deep into a facility on a strange alien planet. Dungeon of the Endless has a huge array of mechanics to master which gives the game great longevity. For the most part the game evolves each mechanic slowly so it won’t be a huge burden to learn the intricacies of the game either. At the start of each game players will get to select two heroes to fill the escape pod that is about to crash land. Players won’t have access to all heroes from the start though and will have to find them during an adventure and keep them alive to use them permanently. As you would expect each hero has their own strengths, weaknesses, skills and stats which creates plenty of strategy in just this simple choice. Once your crash pod has landed the real game begins which involves players moving from room to room in the strange alien facility while fighting enemies, upgrading heroes and managing resources. Your main goal is to bring the power crystal from your escape pod down to the next level which requires careful exploration and use of resources. Every time you move into a room players will find enemies, events or items. Enemies are equally varied as heroes with some preferring to attack heroes and others preferring to make a run to your power crystal. When a door is opened the game considers it to be a turn which will generate resources for players and also spawn enemies in previously discovered rooms that are dark. To counter this you can use your limited dust resources to light up rooms and keep them safe from monster spawning, due to resource limits though a player will never be able to light up all the rooms on a level. This scarcity is key to Dungeon of the Endless and what makes it such a great rogue like as players constantly have to make trade offs. Scarcity in resources also extends to the other main resources of the game which are industry (for building), science (for research) and food (for healing). 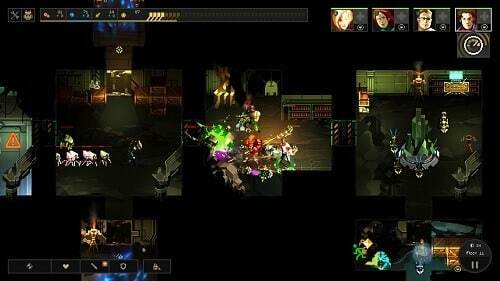 Dungeon of the Endless will definitely offer countless unique dungeon adventures and the well balanced scarcity of the game guarantees you’ll have many deaths ahead of you, although each one will be an enjoyable learning experience. A pixelated rogue like with tower building elements. Scarcity of resources ensures you’ll always have to make tough decisions. Find items, enemies, events and new friends in each room. Balance dust to power up rooms and stop enemies from spawning. Endless depth that you’ll slowly discover with each death.